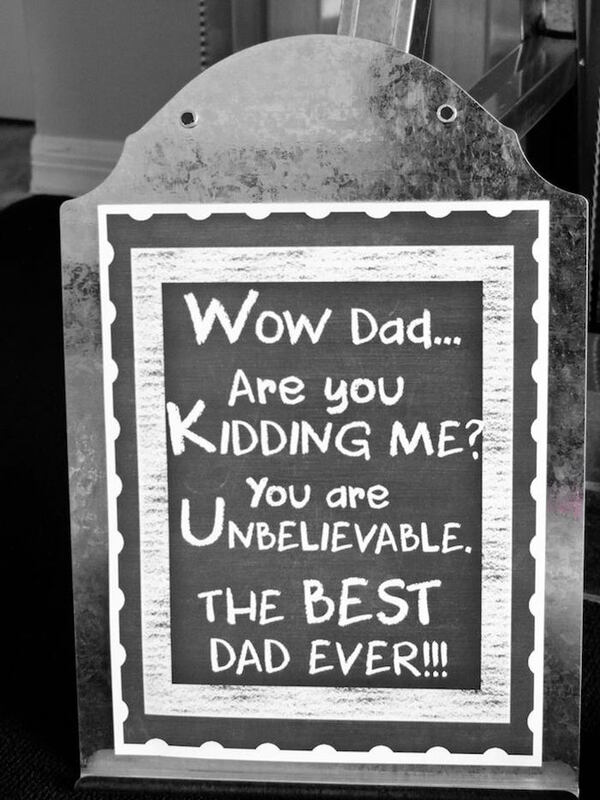 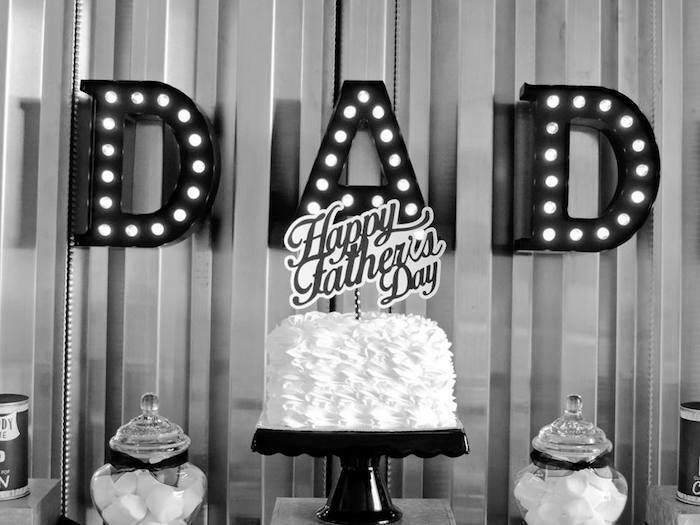 Ready for a Father’s Day Party that you won’t be able to get enough of?! 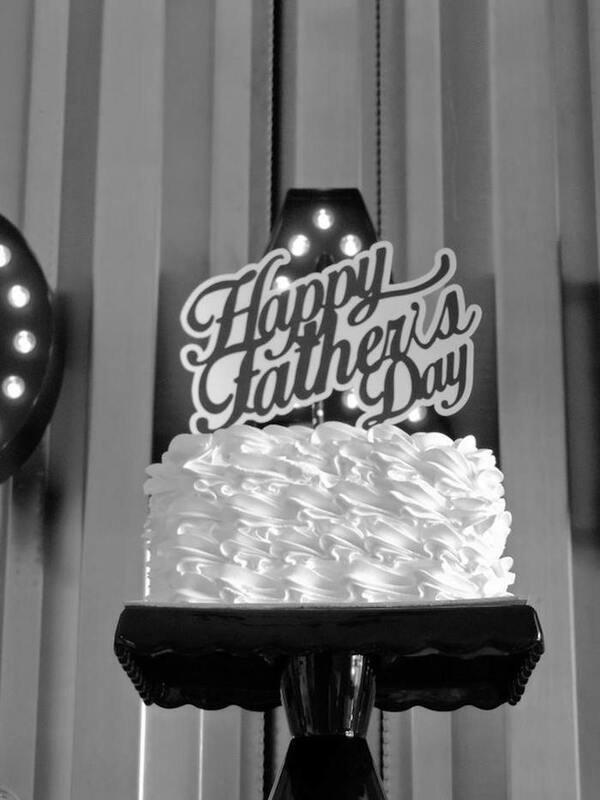 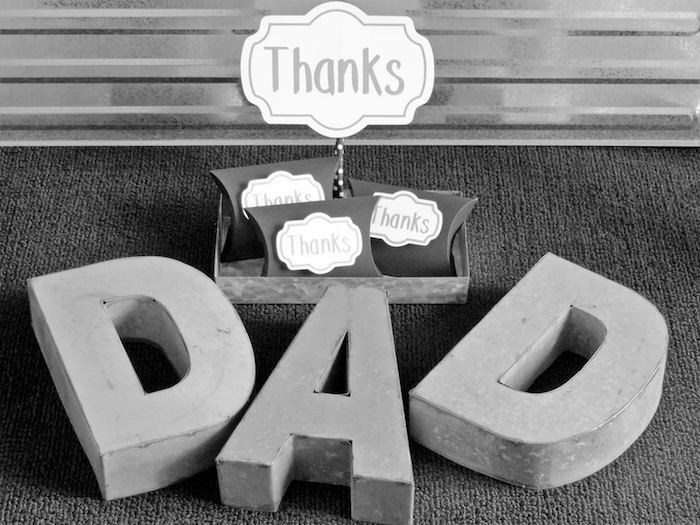 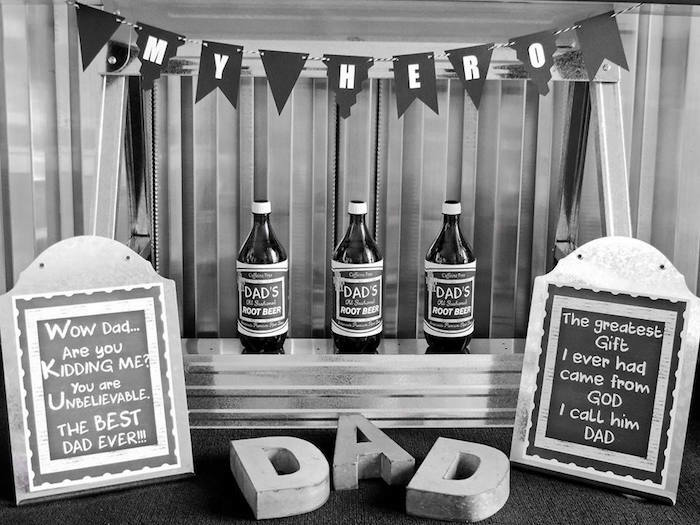 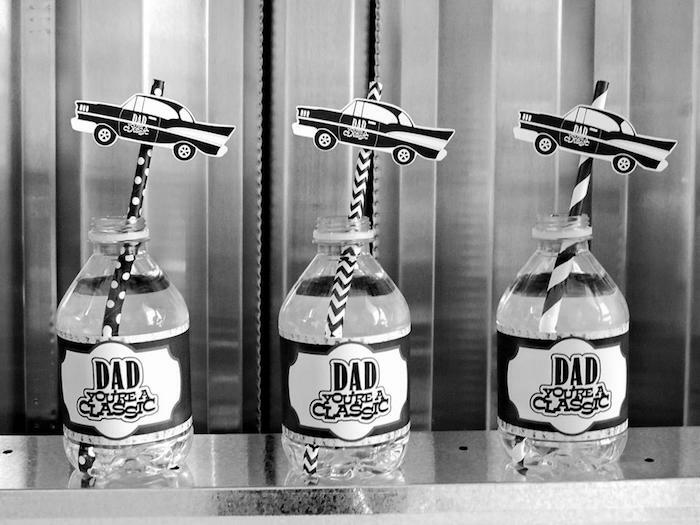 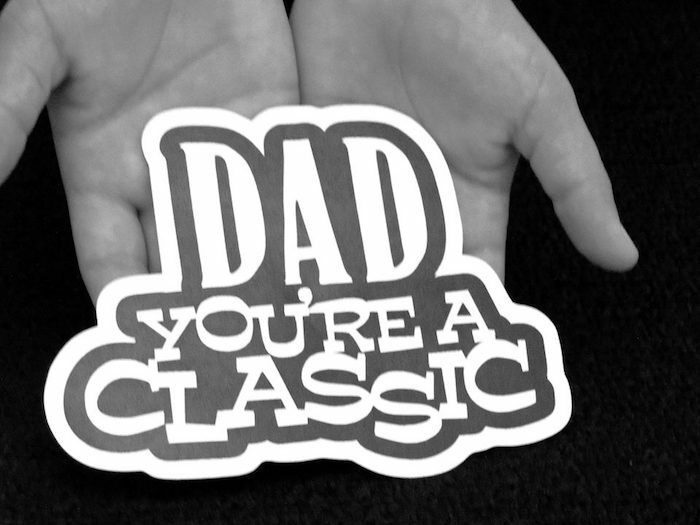 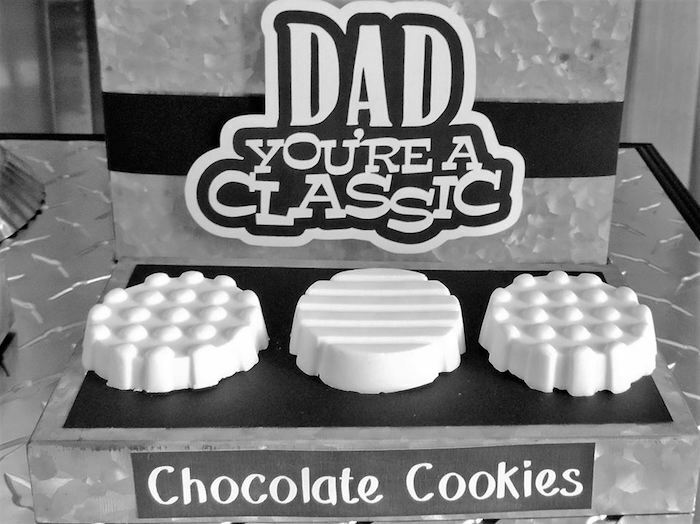 Check out this “Dad You’re a Classic” Father’s Day Party submitted by Leydis Roy of Design My Party out of Coconut Creek, Florida! 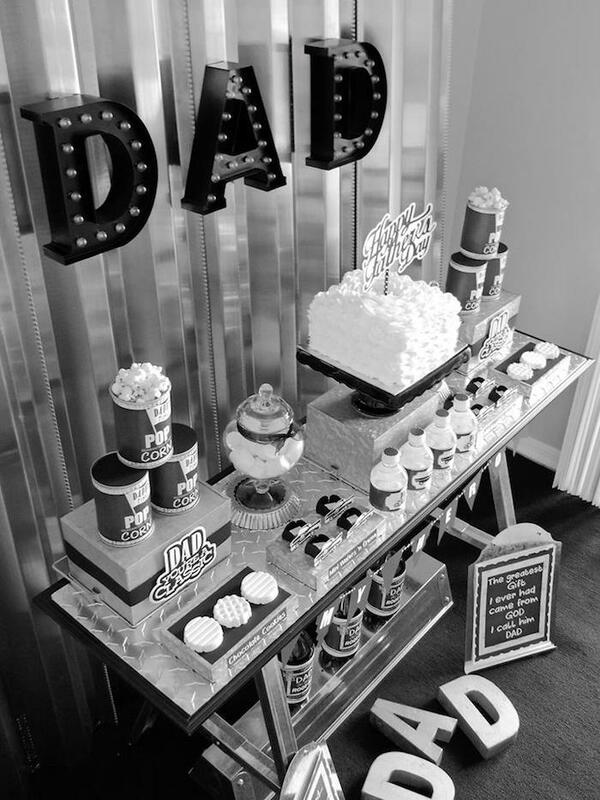 Its black & white photographs filled with classic details are so much fun and are sure to be enjoyed by anyone who loves the classics! 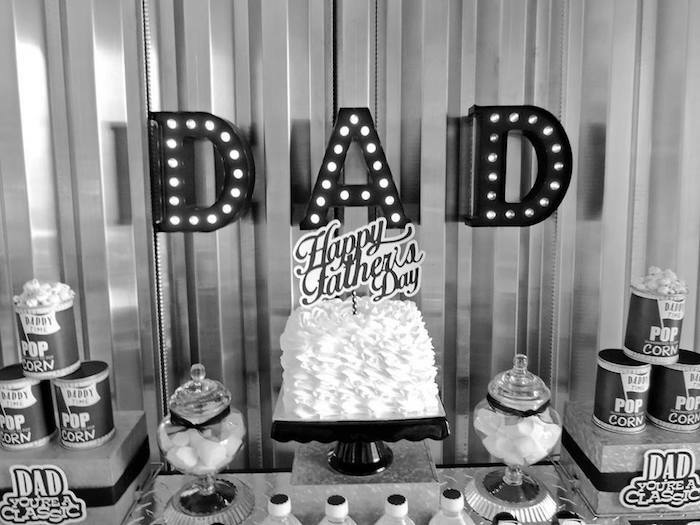 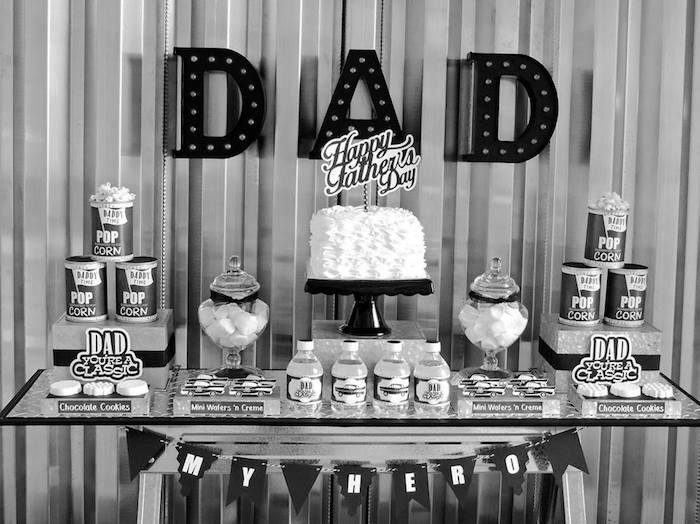 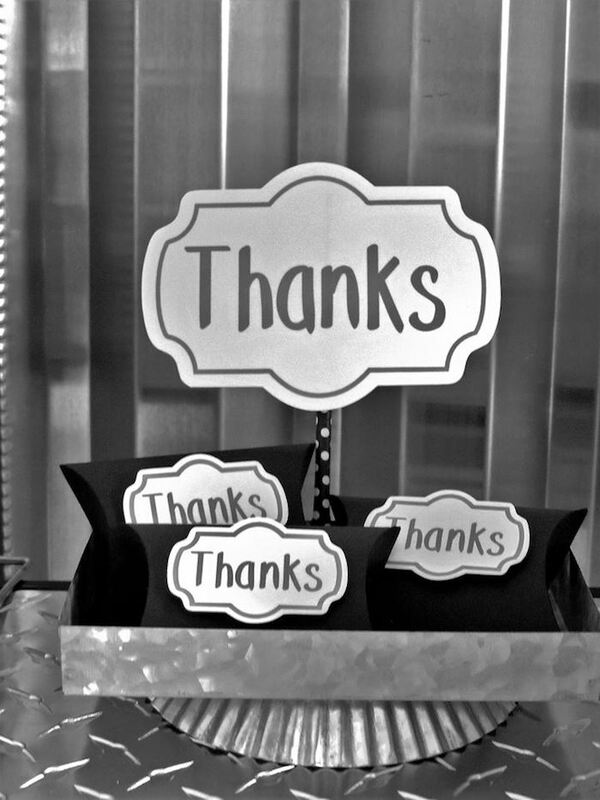 This is what Leydis shared about the party- “My precious daughter asked me if I could design a Candy Table for her dad to celebrate Father’s Day so I took the opportunity to dedicate my design to ALL THE CLASSIC DADS SPECIALLY A MI PAPA. 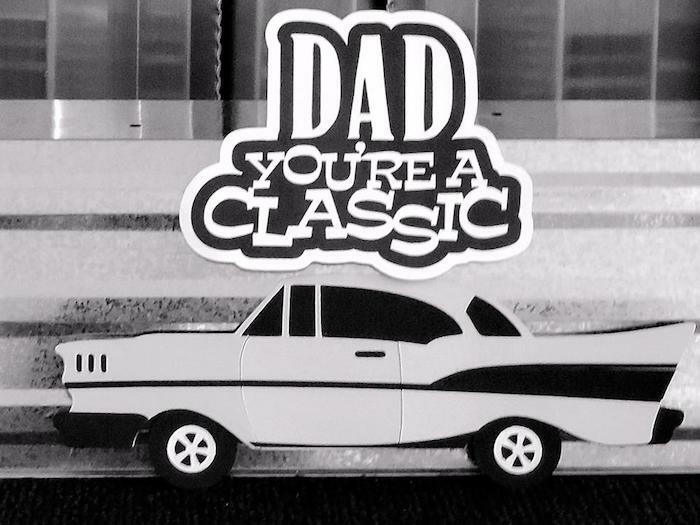 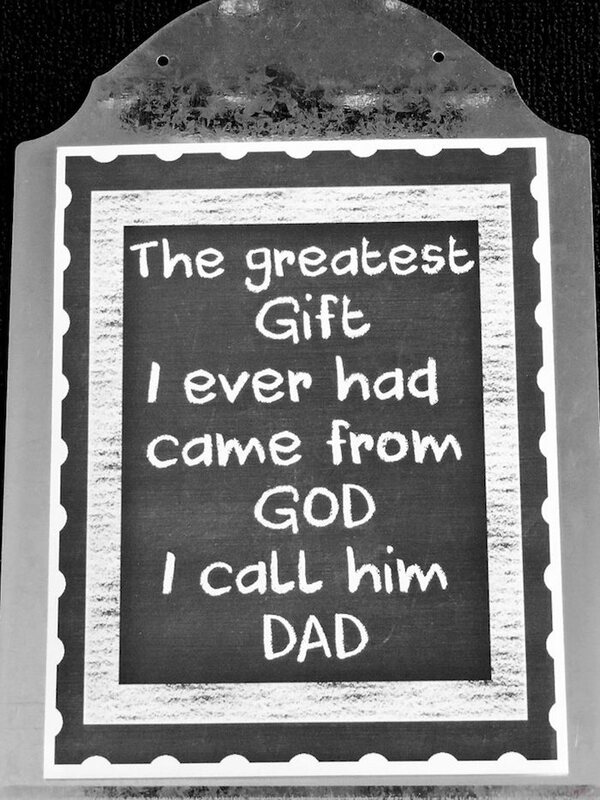 My dad is very far away from me and thru this one-of-the-kind design I want to tell him how much I love and I miss him every single day. 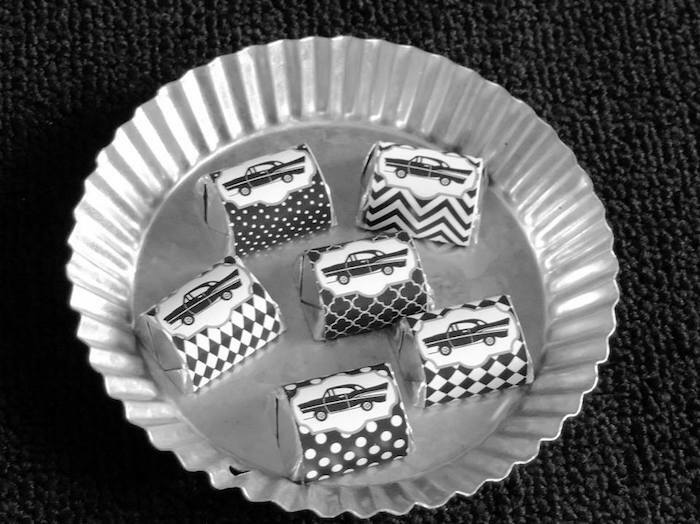 My husband any time we go out he always says look look ” LOOK AT THAT CAR IT’S A CLASSIC “, so I decided to call my Candy Table DAD YOU’RE A CLASSIC. 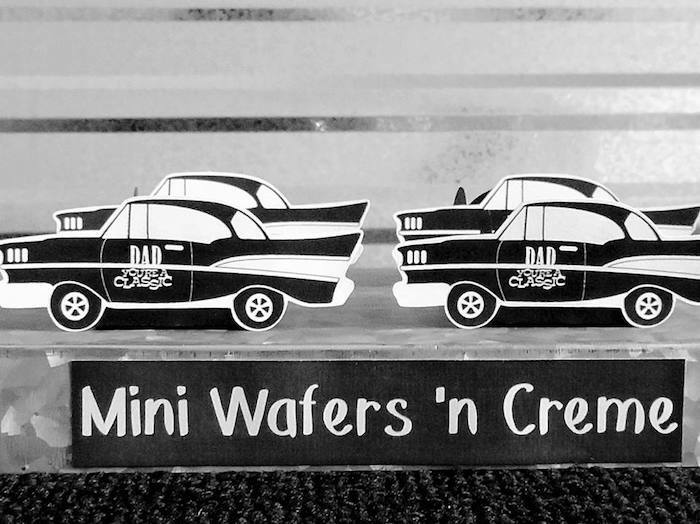 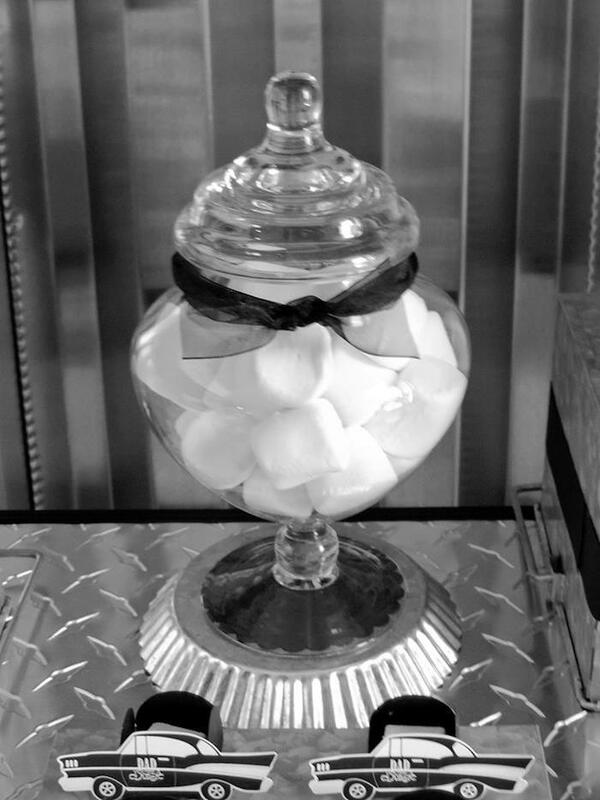 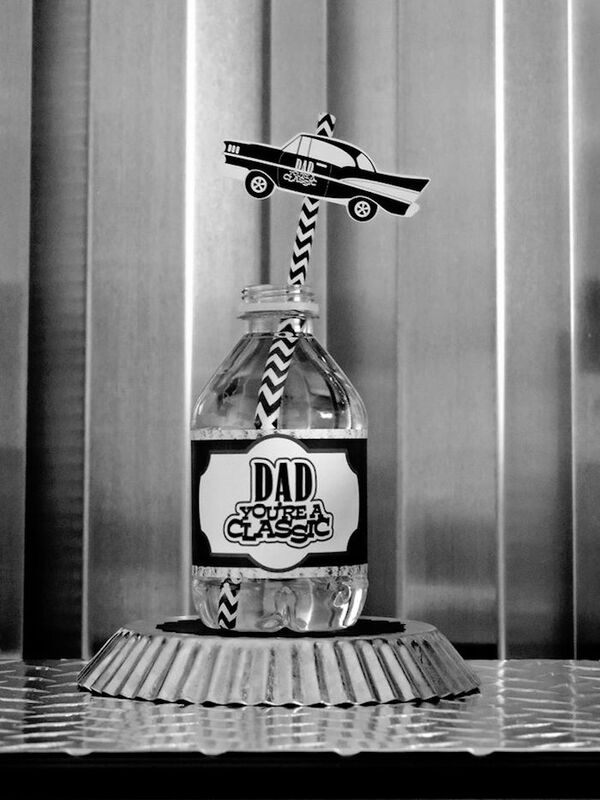 Inspired by a Chevy Nova 1959 car this black and white sweet table design will bring back great memories to all Classic Dads. 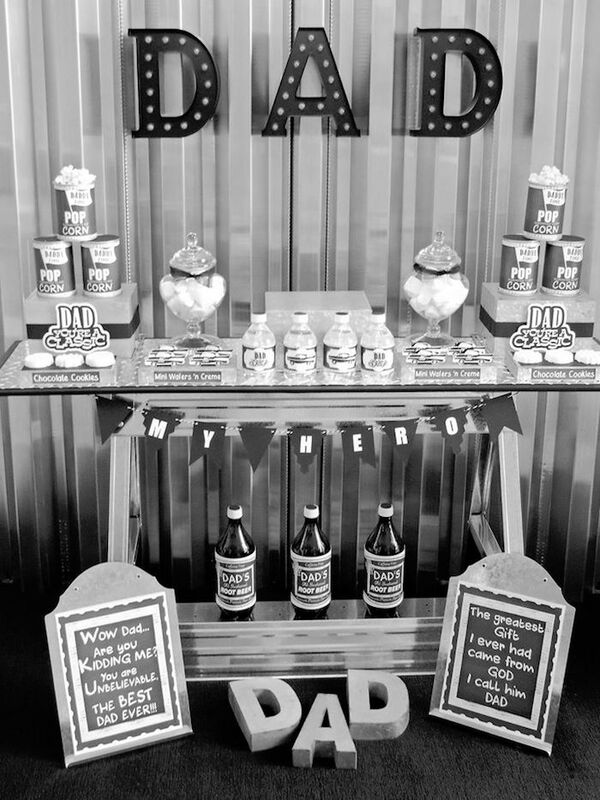 Since my husband has a large garage, I sneaked in and silently I grabbed some of his tools and materials to build his own Sweet Table. 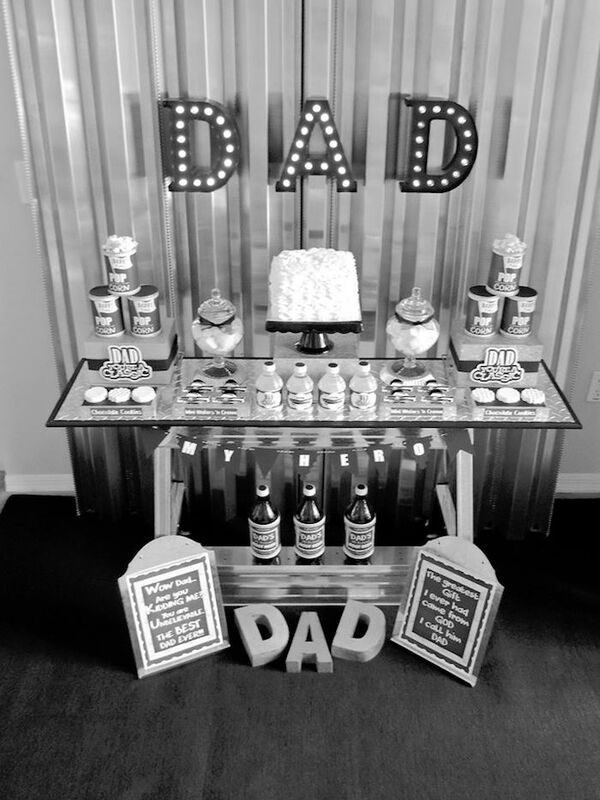 Aluminum Hurricane Panels were set as a backdrop and I glue a door mirror to one of his Folding Steel Sawhorse tables and I placed the other one on the bottom. 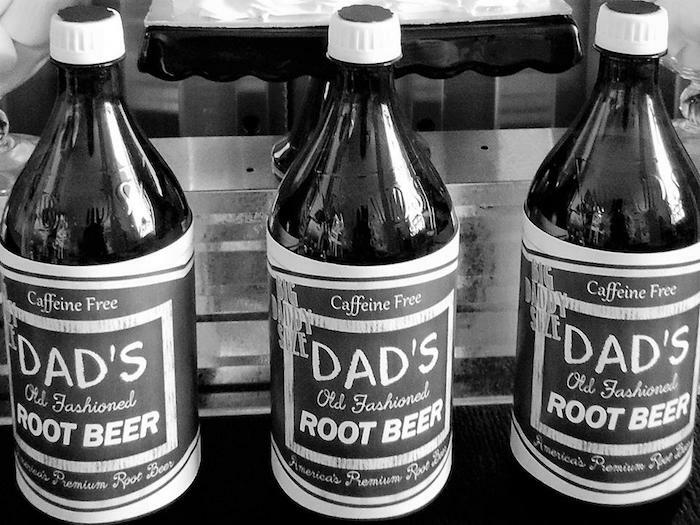 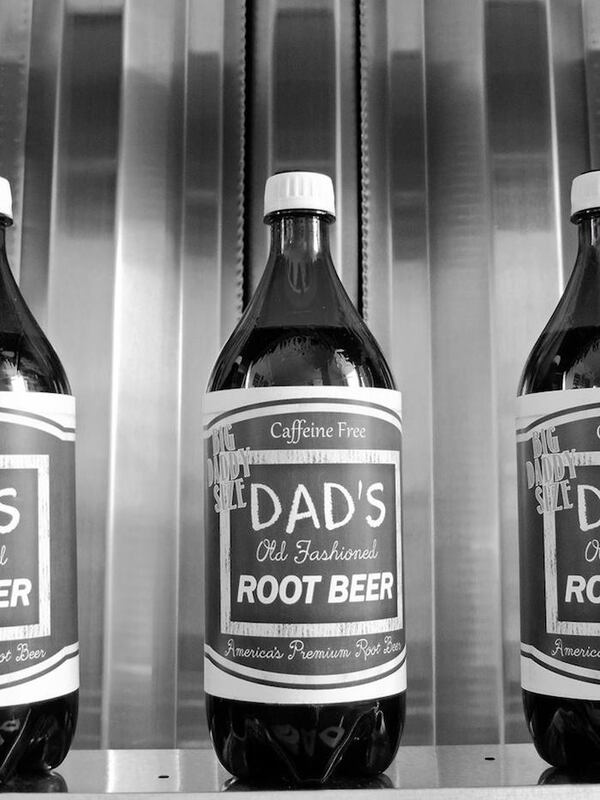 He LOVES root beer soda, so I went to dollar store and I purchased Big Daddy Size bottles of root beers and I designed the labels. 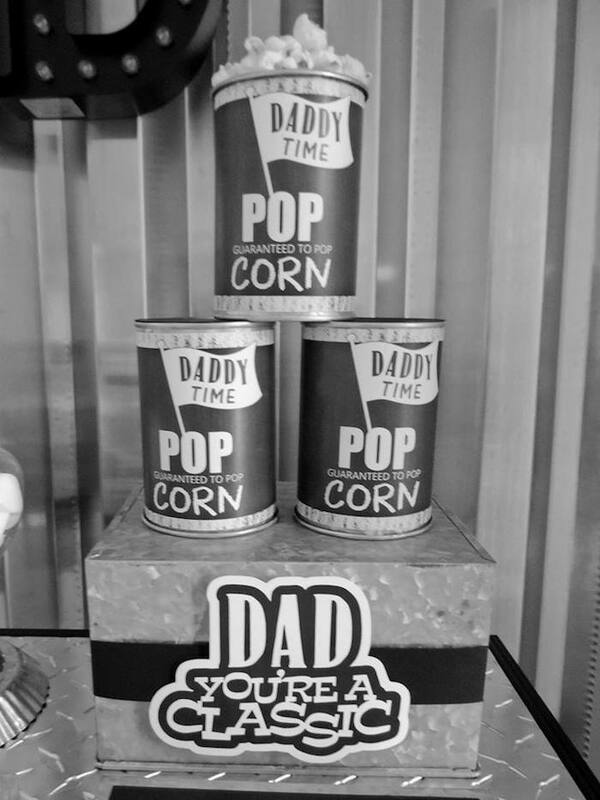 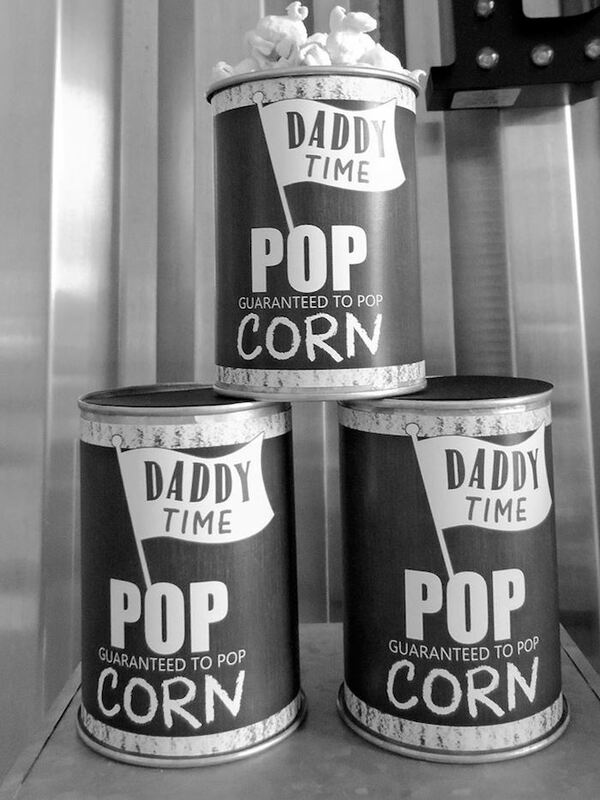 The popcorn was displayed in metal cans to give it the vintage look of Jolly Time popcorn cans. 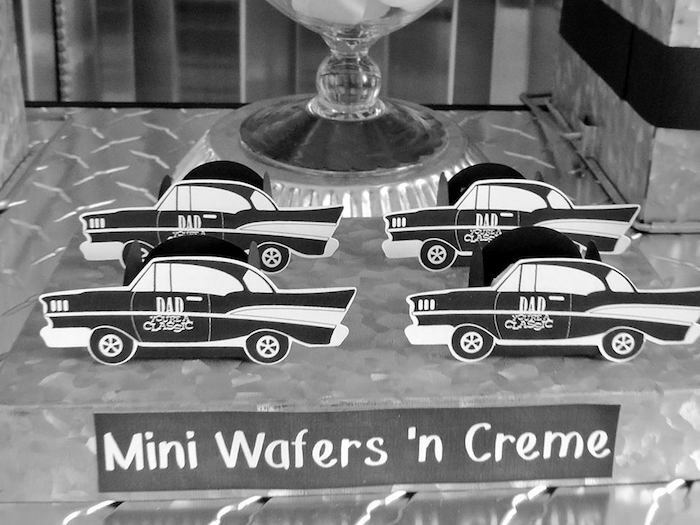 Mini Chevy car holder designs dressed the table with Petit desserts and oreo cookies were decorated with white chocolate. 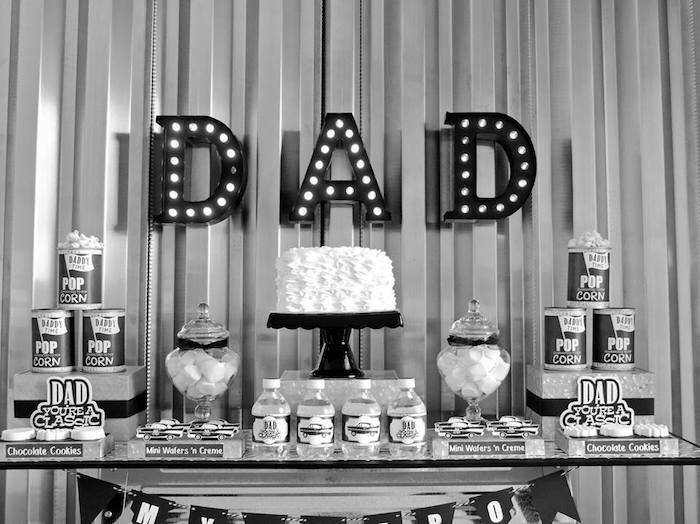 Cake was done by Winn-Dixie .